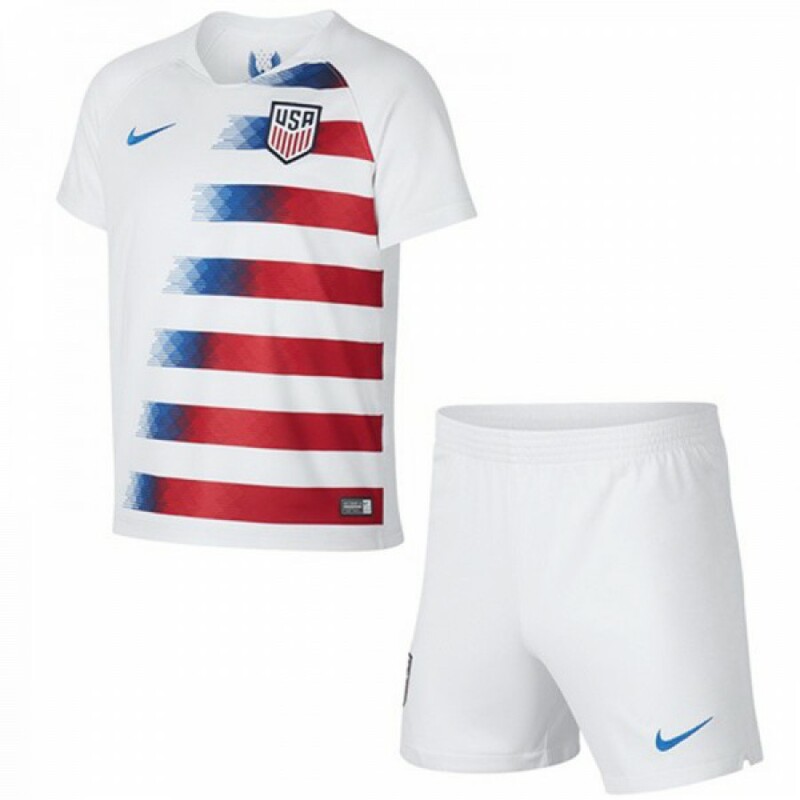 You'll feel just like a player for the USMNT when you wear this 2018 Home Kit Kids from Nike. 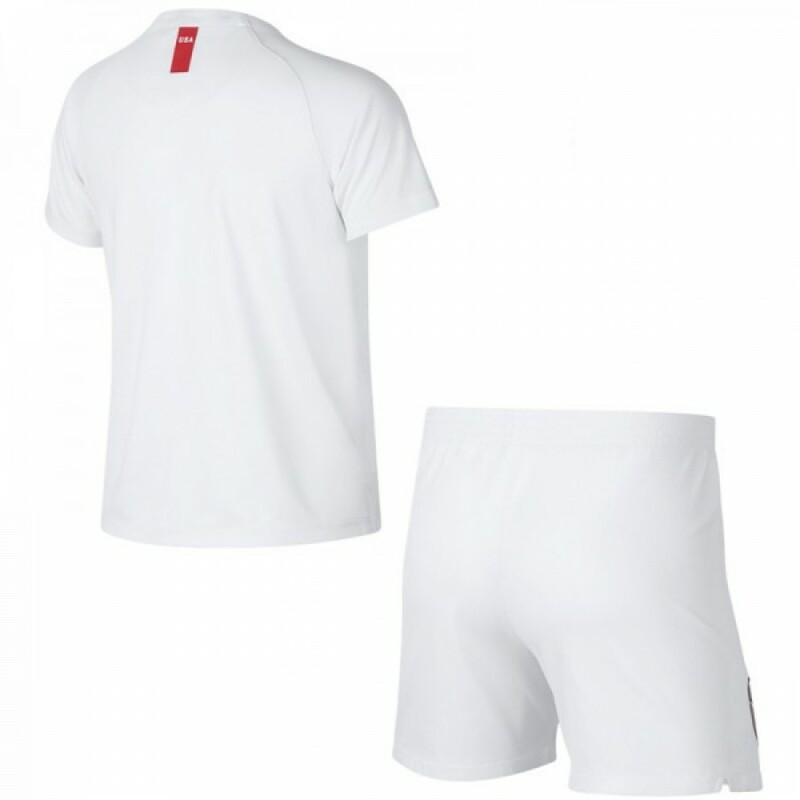 Look your best as you root your hardest at the next match in this awesome Dri-FIT moisture-wicking gear. 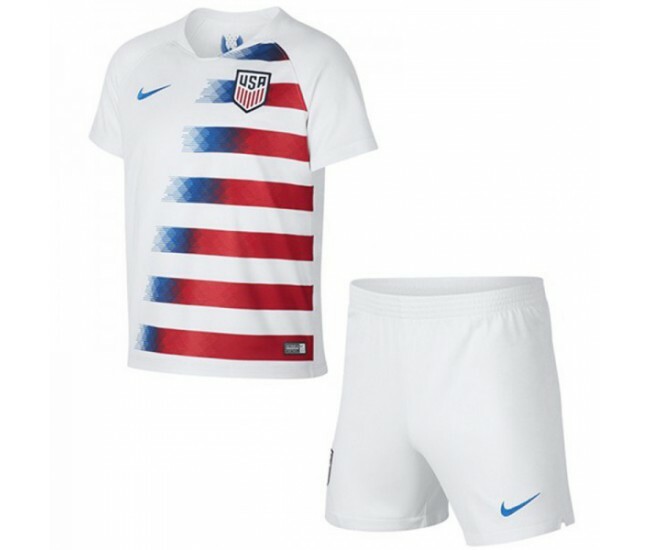 Everyone in the stands will know which squad you're all about with the unmistakable USMNT crest on this jersey.